This is the first sleeve of the Must Have Cardigan in it’s still unblocked state. As you probably forget since it’s been a while since I mentioned it, the yarn is Ella Rae in a taupe shade (more brown than the dark gray shown in the photo). I’m very pleased with how the yarn allows the stitch detail to pop. I am also pleased with the pattern which is easy to remember though there is a mistake in the booklet I have but after a couple of rows I caught it and corrected the problem. I’m still assuming that this sweater will fit. I intend to block it to fit if need be. The yarn and stitch pattern have formed a nice stretchy combination that should bend to my will. Overall it seems to be near to the right size though which will help. Look! I’ve even started the back. This photo reminds me I need some longer needles but since I’m using old Boye’s that belonged to my grandmother and the sizes aren’t what you’d call precise I’ll make do. All the stitches fit even though things are a bit crowded. As you can see the cables sit a bit differently on the back than they did on the sleeve and it took me at least an inch to get used to that. 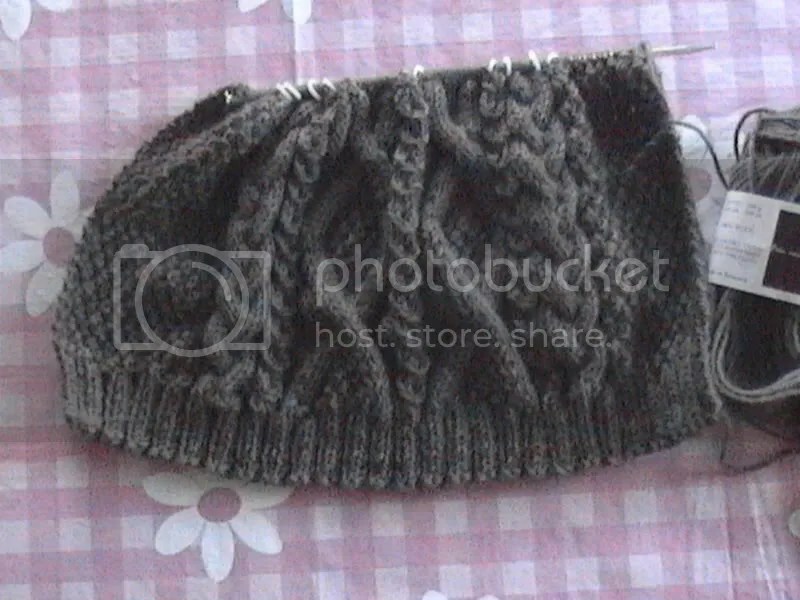 I kept wanting to knit the cables the same as the sleeve. I know it’s a mistake to say this and I’m probably going to jinx myself so I’ll knock on wool wood. 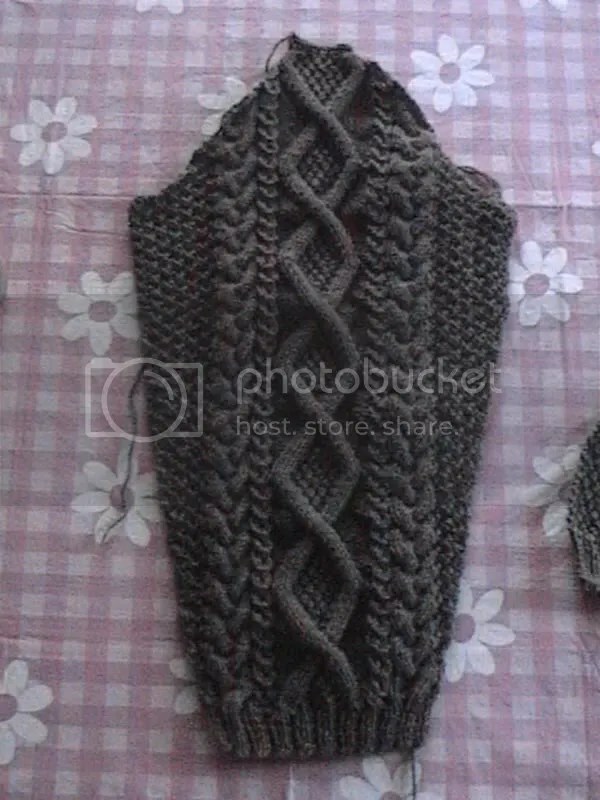 It’s looking like I’ll be able to wear this sweater while the weather is still cold. Of course spring is still 5 months away so I’ve got time on my side.